Troels Prahl, a brewer and microbiologist at the Southern California yeast distributor White Labs, sits at his company’s tasting room bar with four half-pints of beer. He describes each between thoughtful sips. The first has a malty backbone and a crisp body of raspberry, rosemary and banana, he says; the second, a waft of white raisin and final bite of olive brine; the third flows thick and smooth like a classic English ale; and the fourth is perfumed with a dry and subtle blend of nutmeg and fresh straw. The beers’ colors are as varied as their flavors, ranging from cloudy gold to clear amber. 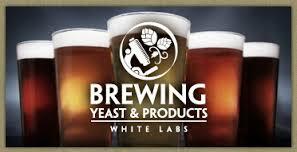 Yet with the single exception of the yeasts used to ferment them, Mr. Prahl explains, they are all the exact same brew. After thousands of years of unwitting domestication, brewing yeasts — the microorganisms that ferment a brewer’s tepid slop of grain, water and hops into beer — are as diverse as the beer they make. And now two research teams, from White Labs and a Belgian genetics laboratory, are mapping out their sprawling genealogy, creating the first genetic family tree for brewing yeasts and the beers they make.